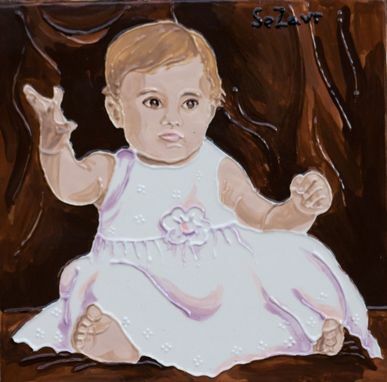 A ceramic tile could be made as much personalized and memorable as your own portrait painted on it. Send me your best photo and get it back with a hand painted portrait on a ceramic tile (6"x6", 4"x4", 8"x8") or plate or vase. 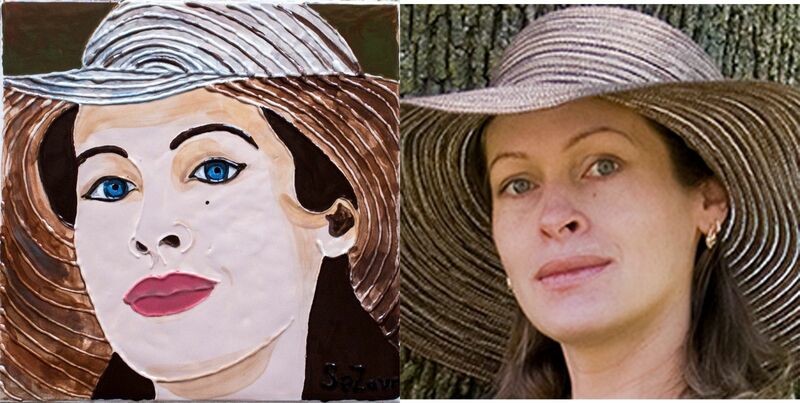 Your portrait will be cropped (close-up face) and artistically copied to a ceramic surface. You will need to add a perfect frame to your ceramic perfect portrait if you chose a tile. You can compare the photo (original) and the tile below. The order will take up to 7-8 business days to be ready for shipping.